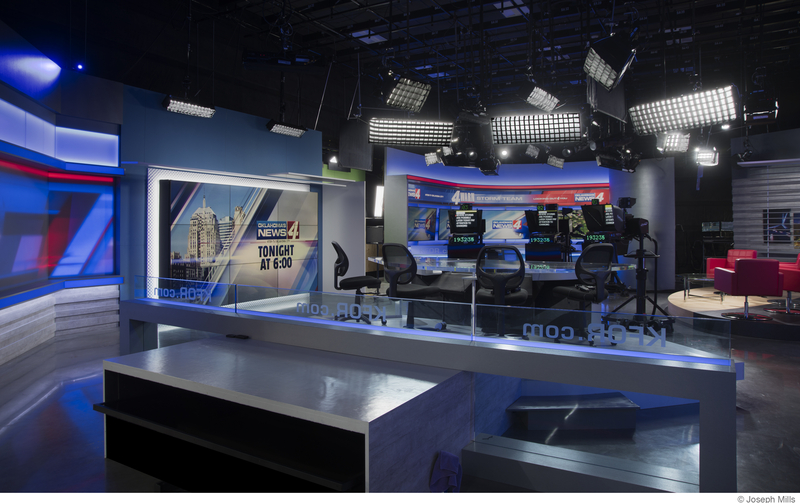 On Tuesday, April 2, Manhattan Construction, along with specialty contractor WW Steel, erected the final piece of the west fixed truss at the new ballpark called Globe Life Field for the Texas Rangers in Arlington, Texas. This component completes the truss, which weighs more than 2.4 million pounds and spans 630 feet in length. The next phase will be the installation of the east fixed truss. The entire operable room will use an estimated 19,000 tons of steel to complete. TULSA, OKLAHOMA – Brent Dostal has been promoted as president of Tulsa-based Cantera Concrete Company, a leading turn-key concrete subcontractor serving clients in Oklahoma, Arkansas, and North Texas. Cantera is a member of Manhattan Construction Group, which is one of the largest commercial construction companies in the southern United States. Cantera Concrete Company President Brent Dostal. During Dostal’s 29-year career in the industry, he acquired extensive project management experience in general building, pulp and paper, and petrochemical facility construction. He served in project management for at Brown and Root from 1990 to 1997 and at Cantera’s general building affiliate Manhattan Construction Company from 1997 to 2001. Dostal has served as vice president of Cantera since its founding in 2001. Dostal has extensive industry and civic involvement. He serves on the board of the Oklahoma State Construction Management Advisory Board in Stillwater (1997-present) for which he also served as president (2007-2009), vice president (2005 – 2007) and finance committee. He serves on the Board of Construction at Oklahoma State University IT in Okmulgee. He served on Associated Builders and Contractors of Oklahoma’s Board (2007 to 2010) and most recently served on the Workforce Development Committee. He serves on the Associated General Contractors of Oklahoma Education and Workforce Development committees and the American Society of Concrete Contractors Management Information Exchange (MIX). Dostal has served as chairman of the Liberty Area Fire Protection Association in Liberty Oklahoma. He served on the Liberty Youth Sports Association as a coach for youth softball, baseball, and football. He is member of the Mannford 4H and FFA boosters club where he serves on the board of directors. He coaches Mannford youth in softball and basketball. He serves on the board The Mid America Dorper Breeders where he previously served as past president, president, and vice president. He earned a bachelor of science in construction management from Oklahoma State University in 1990. He is American Concrete Institute (ACI) certified. OKLAHOMA CITY – The Associated General Contractors of Oklahoma (AGCOK) has named Manhattan Construction Company Senior Superintendent Justin Fegel “Superintendent of the Year.” Fegel received the honor at AGCOK’s Awards Banquet held Saturday, January 19 at the Embassy Suites Hotel in Norman, Oklahoma. The “Superintendent of the Year” award recognizes the superintendent from among the AGC of Oklahoma membership who has shown superior skill and creativity in bringing complex projects to completion. Fegel was chosen for his exemplary commitment to his projects, his dedication to safety, and his passion to mentor others. Caption: Manhattan Construction Company Senior Superintendent Justin Fegel. Fegel joined Manhattan in 2000 and since has been involved in more than $500 million in construction projects. 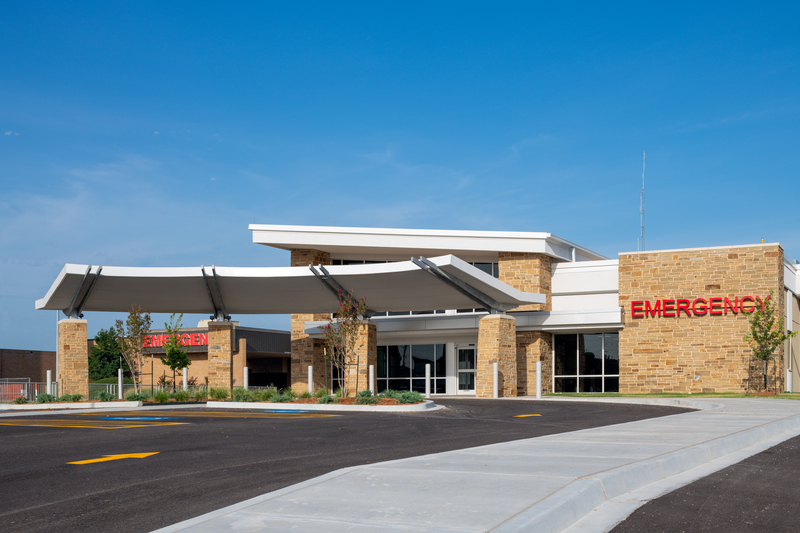 He started his career specializing in healthcare construction where he served most of his time leading projects for the St. John Health System in Tulsa, Oklahoma. 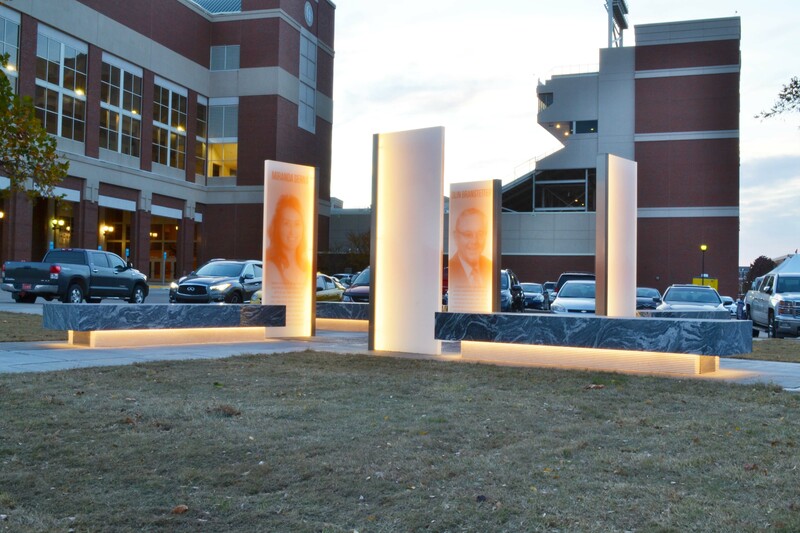 Most recently, Fegel relocated to Stillwater, Oklahoma to work for his alma mater where he has successfully delivered the Oklahoma State University (OSU) New Business Building and is currently leading work on the new OSU Baseball Stadium. Founded in 1896, Oklahoma-based Manhattan Construction Company is among the largest family-owned construction companies in the United States. The company provides preconstruction, construction management, program management, general building, and design-build services throughout the United States, Mexico, Central America and the Caribbean. Manhattan’s award-winning portfolio of work includes sports, healthcare, government, education, laboratory, aviation, transportation, convention, casino and hospitality facilities. 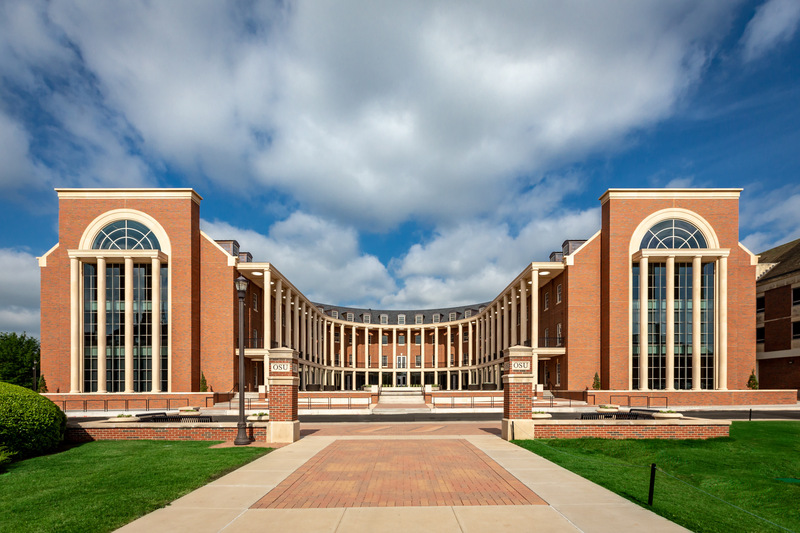 Oklahoma State University (OSU) Business Building in Stillwater, Oklahoma in the Education $50M+ category. 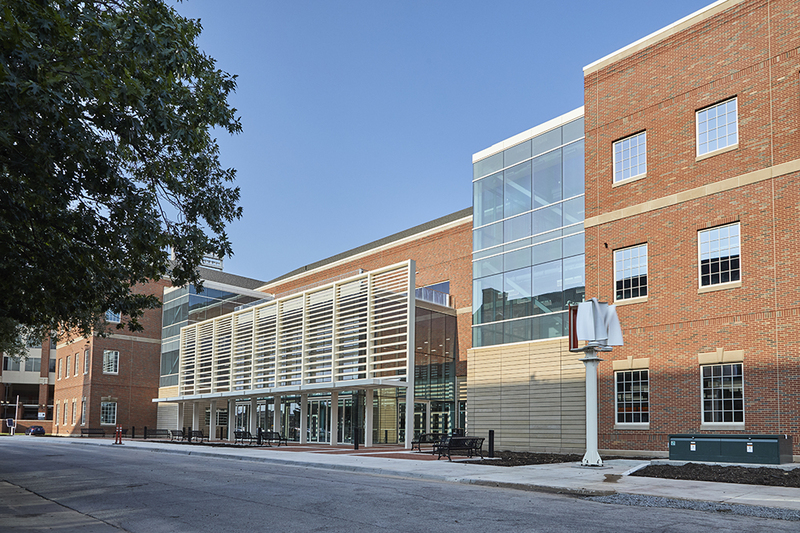 The New Business Building at OSU is a 140,000-square-foot, state-of-the-art learning facility that is equipped 13 classrooms, 16 break out rooms, nine conference rooms, four labs, academic department offices, a graduate student lounge, a student organization room, and a coffee and snack shop. Designed by Elliott + Associates, the new building features a radius structure tagged as a “crescent” with a large courtyard that aligns with the Legacy Walk on campus. It is the new home for more than 5,000 business majors from 44 states and 59 countries. Photo credit: Simon Hurst Photography. 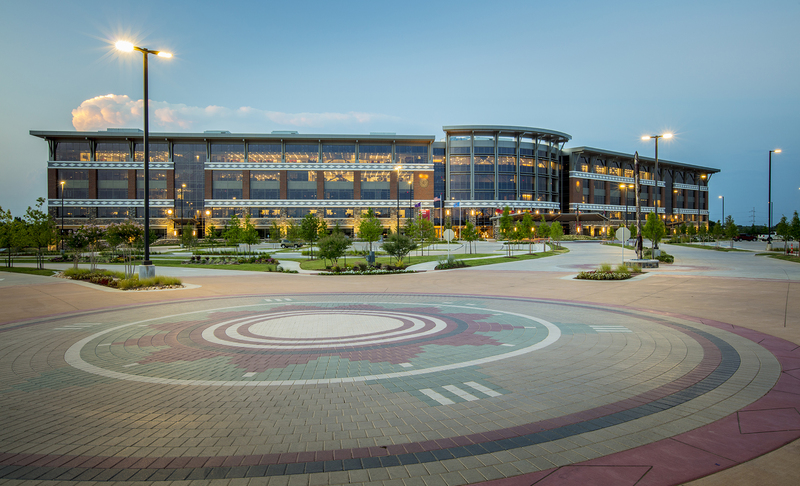 Choctaw Nation Tribal Complex in Durant, Oklahoma in the Institutional $50M+ category. 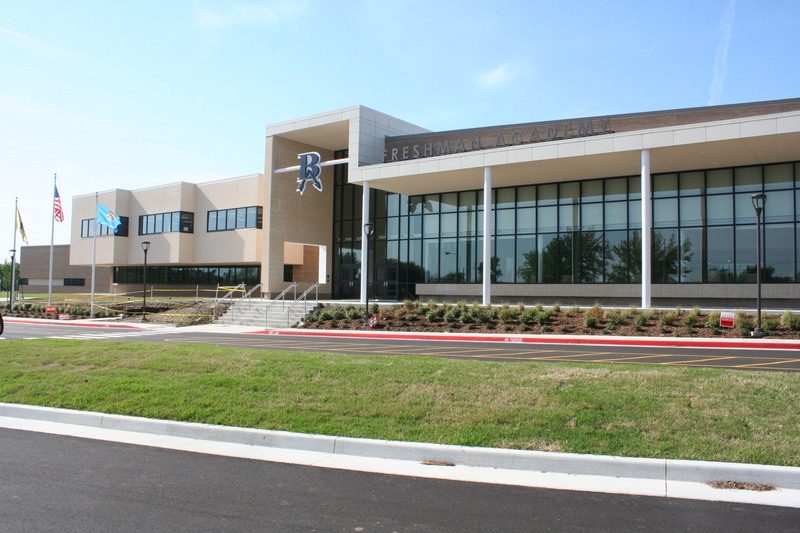 The Choctaw Nation of Oklahoma Tribal Complex campus is home to five buildings including a 500,000-square-foot Tribal Headquarters building and 9,700-square-foot Data Center designed by Frankfurt Short Bruza, a 11,000-square-foot Public Safety Building, 45,000-square-foot Wellness Center, and 48,000-square-foot Facility Maintenance Building designed by JCJ Architecture. The headquarters, with an east and west wing and a rotunda in the center, houses approximately 75 tribal business units, the Chief’s office and multiple government programs. Team members were presented the awards at AGC of Oklahoma’s annual banquet dinner held at the Embassy Suites Hotel in Norman, Oklahoma on January 19. OKLAHOMA CITY, OKLAHOMA – Oklahoma-based Manhattan Construction Company, a top nationally-ranked general building company, has announced the promotion of Clay Cockrill as director of business development for the company’s Oklahoma City office, which serves central Oklahoma. In this role, Cockrill is responsible for growing the company’s client base and maintaining existing client relationships. Clay Cockrill, Manhattan Construction Company Director of Business Development. OKLAHOMA CITY – Oklahoma-based Manhattan Construction Company, the Associated General Contractors (AGC) of Oklahoma Work Force Development Committee, and Junior Achievement worked together to bring Northwest Classen High School students to their first-ever “Careers in Construction Day.” The program is designed to offer students the unique opportunity to visit a professional work environment and to gain insights into how to find and keep a fulfilling career in construction. 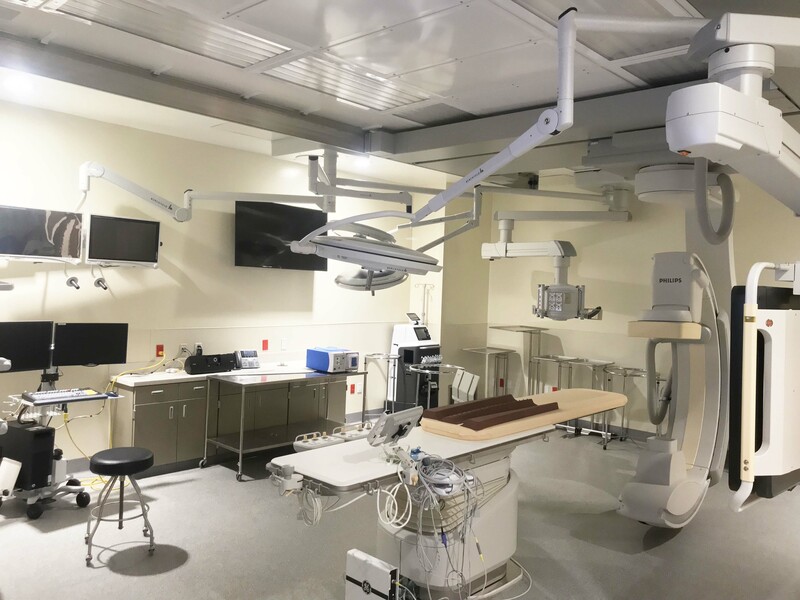 On November 29, Manhattan Construction welcomed twelve students from Northwest Classen High School to their McBride Ambulatory Surgical Center job site in Oklahoma City to learn first-hand what it is like to work on a large commercial construction project. Manhattan Construction Project Manager Lucy Lambert shared information with the students about the different career paths in the construction industry. While at the project site, students heard from a panel of representatives from Southwest Drywall, Swanda Brothers, Wattie Wolfe and Shawver and Sons, who are all subcontractors at the McBride project. They shared career advice for working in various trades, including mechanical, electrical, metal structure, equipment manufacturing, metal framing, drywall, insulation, and acoustical ceilings. The day’s events included a guided tour of the job site where students saw the trade work in action. Photo of “Careers in Construction Day” participants at Manhattan Construction’s McBride Ambulatory Surgical Center project site in Oklahoma City. TULSA, OKLAHOMA – Manhattan Construction Company, a top nationally ranked general building company, has announced Marnie Phelps as director of community relations for the company’s Tulsa-area office. In this role, Phelps will assist with advancing Manhattan’s team member engagement within the community through civic, community, business and charitable organizations. Phelps has led and directed numerous community, marketing, and business development activities during her 20-year career in the architecture, engineering construction industry. Phelps is a board member and past president of the Child Abuse Network (CAN). She is also a member of Leadership Tulsa Class 49 and an Oklahoma government relations chair appointee for International Council for Shopping Centers (ICSC). She has a bachelor’s degree in interior design, from the University of Arkansas. You are currently browsing the archives for the Manhattan Construction Group category.